Tom Jung Photography: The Fuji X-E1: A GREAT Deal! The Fuji X-E1: A GREAT Deal! Get yourself a Fuji X-E1 while they are seriously discounted! By the time this post is published, I'll have owned my X-E1 for a little more than a week. I purchased it from B&H Camera at an incredible discount. From what I gather, the X-1 was discounted deeply when the X-E2 was introduced in early 2014, so I was able to get a body and the18-55mm f/2.8-4 OIS Lens for $700.00. This was an incredible deal, as the lens alone retails for $600.00. It was like buying the lens and getting the body for an additional $100.00. Such a deal! 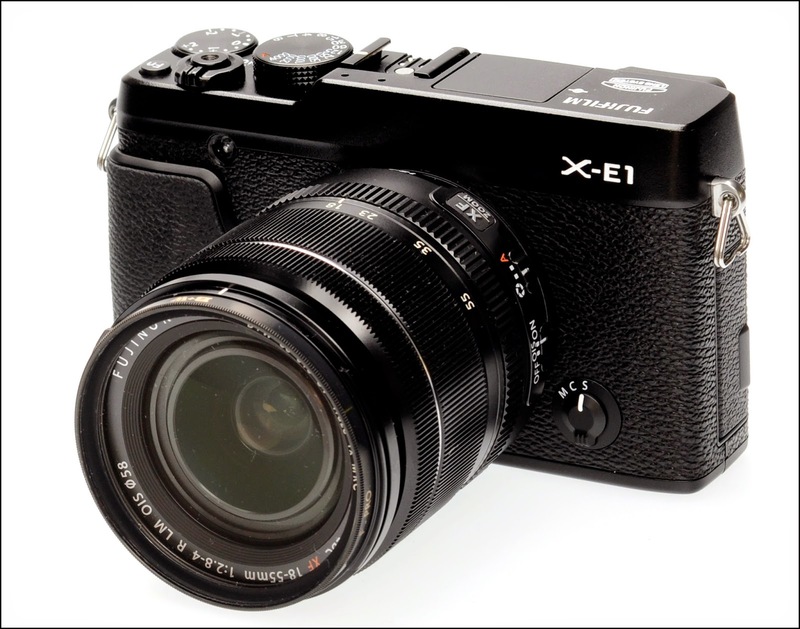 The real kicker is the software update, which the makers claimed improved the X-E1's performance. Having come late to the party, the update was already available when I received the camera, so instead of wondering how much the new firmware improved the performance, I immediately did the upgrade. It took 30 minutes to download the firmware, and 15 minutes for the camera to digest it all, but the process corrected some autofocus problems while adding drivers for some of the newer Fujifilm lenses. Now if you're wondering why the sudden interest in the Fuji system, there's a good reason: I just acquired Tennis Elbow in my left arm. Lifting heavy objects is painful, and my DSLR kit, weighing in at over twenty pounds, hasn't helped. I am thinking seriously about taking just the X-E1 with the kit lens and a flash or two for my indoor assignments, since the zoom lens range has more than enough speed to meet my needs, so long as I have a flash handy. Quick News Flash: I purchased a Fujifilm 35mm 1.4 lens at a recent camera show, giving a fair price for the mint condition lens. I spoke with the seller for a while, and discovered that he too was re-thinking his equipment choices, having placed two Nikon D300s bodies and a 70-200 2.8 Nikkor on the selling table. Turns out he was trying to get money for the recently introduced 10-24 F 4.0 Fuji lens, and was perfectly content with his 18-55mm f/2.8-4 kit lens, the very lens I just received with my body.